South Australia has announced a new energy efficiency incentive scheme for households. The government says its Residential Energy Efficiency Scheme will help South Australian households reduce greenhouse gas emissions and lower their energy bills. The scheme will start on 1 January 2009. 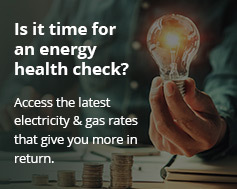 Under the REES, energy retailers operating in South Australia are required to achieve targets for improving energy efficiency in households, through implementing measures such as ceiling insulation, draught proofing and more efficient appliances. They are also required to deliver energy audits to low income households. “All South Australian households will be able to participate in the scheme. For many this is likely to be at little or no cost as energy retailers are expected to offer households incentives to adopt energy saving measures,” says Premier Mike Rann. Householders will be able to take up incentives offered by any retailer.